Why is India so dark? South of the 20th, India and Africa match pretty well, though south east Asia, Indonesia, the Philippines, and Latin America are noticeably lighter. North of the 20th parallel, even most of Africa is lighter than most of India. 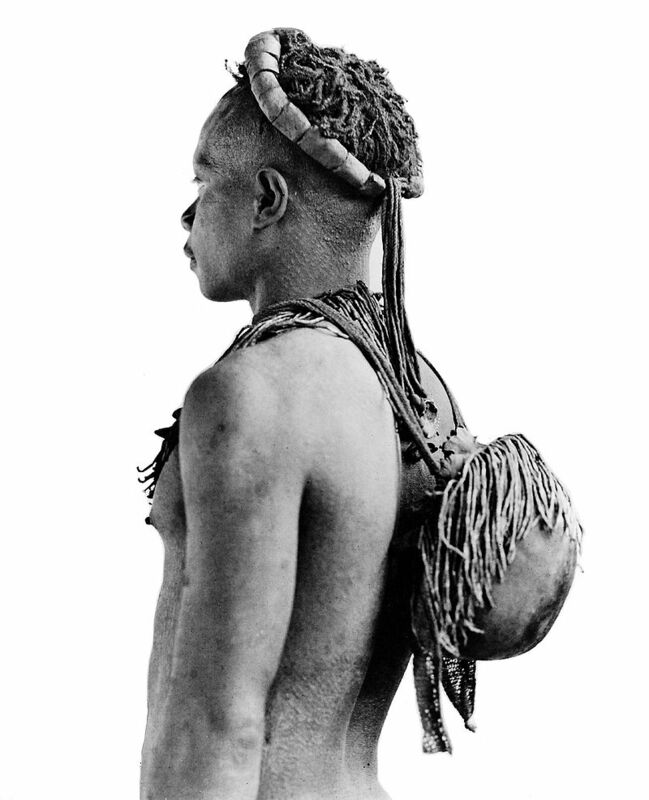 My theory is that one of the first groups out of Africa (if not the first) was a dark-skinned group (all of the groups that left Africa were dark-skinned, of course,) that took a coastal route though (modern) Yemen and Oman, along the southern coast of Pakistan, and then spread into the abundant, hospitable lands around the Indus, Ganges, Narmada, and other rivers. More-or-less meanwhile, other groups headed northward, then circled back around. By the time they came back, they’d lightened. 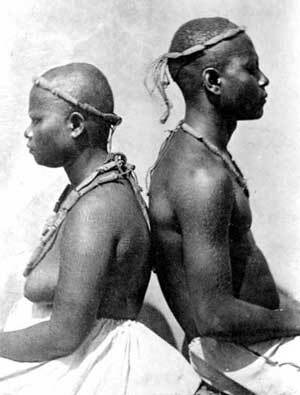 Several groups back-migrated into Africa, (most recently the Arab conquests, but we also have evidence of migrations 3 thousand and 23 thousand years ago;) they probably conquered Iran and Indochina from the north. 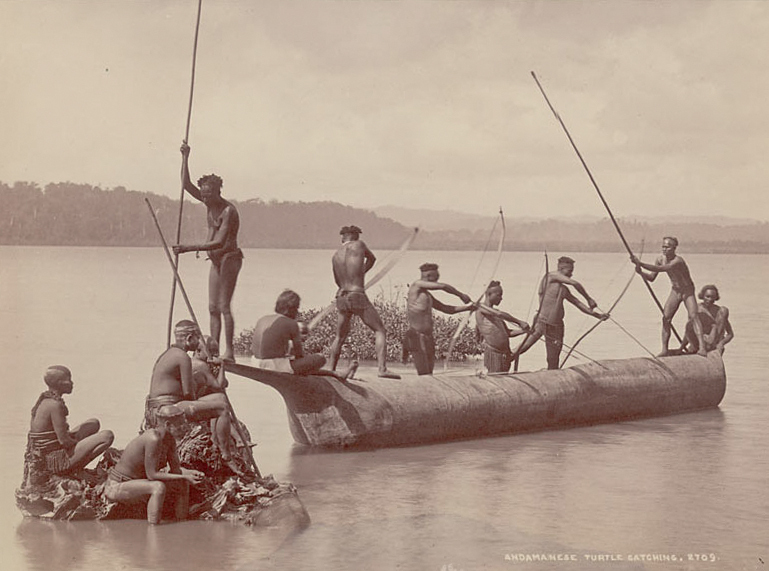 From Taiwan spread another group, the Polynesians, who might have partially displaced the Melanesians and settled many islands they hadn’t been able to reach. 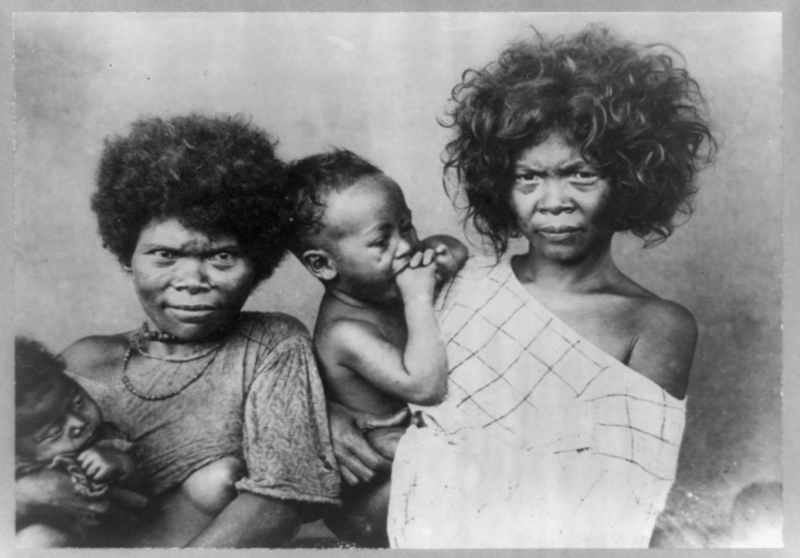 The Ainu got pushed out and even Australia got a small invasion, though in its case, by folks from India, so its skin color didn’t change. But India is a tough place to conquer from the north. There are some awfully big mountains in thew way. India has certainly been conquered during the long expanse of history–I suspect this accounts for the violet blob that pierces central India, perhaps due to the Indo-European expansion–but they’ve probably been conquered less, overall, than places like China. 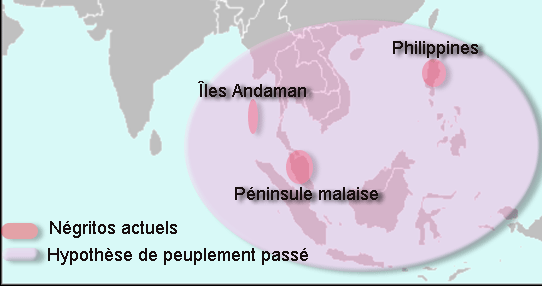 Map showing the distance between the Andaman Islands (small islands south of Myanmar) and land. 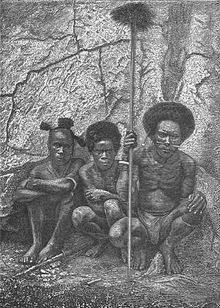 The Sentinelese appear to have split off from the rest of humanity approximately 48,500 years ago, and aside from occasional contact with other members of the Andaman islands, have remained isolated ever since. 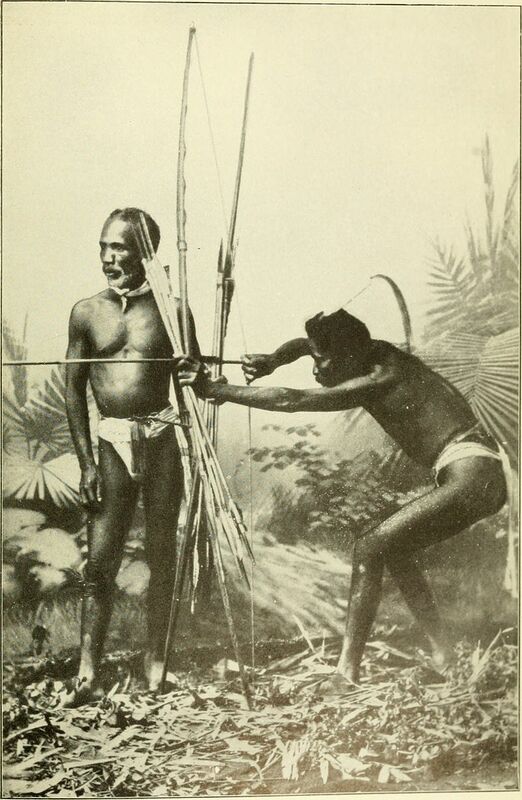 People have occasionally landed on or near Sentinel island, but the islanders have all resisted contact, generally by shooting arrows at anyone who gets too close. Even National Geographic hasn’t got any pictures of them–when they tried to make a documentary on the island, armed with gifts, they had to retreat after the director took an arrow in the thigh. The last guys whose boat accidentally drifted onto their beach got killed and buried in shallow graves on the beach. 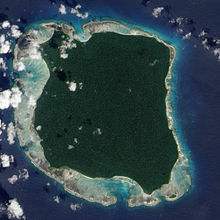 North Sentinel Island is technically owned by India, but India has given up trying to make peaceful contact, and it would probably look bad to just bomb the place. So what do we know about the Sentinelese? Obviously not a whole lot, since most of what we know of them has been observed from a distance. 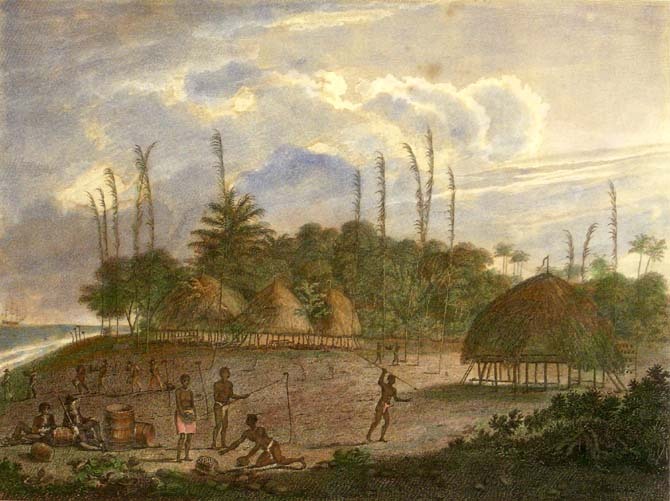 Aside from stuff that has randomly washed up on their island or was given to them by folks trying to make contact, they have only stone tools and, according to the Wikipedia, appear not to have fire. But a little more research suggests that Wikipedia may just be wrong on this point; during the search for the lost Malaysian jetliner, smoke was observed rising from North Sentinele, which implies that the people there probably do have fire. 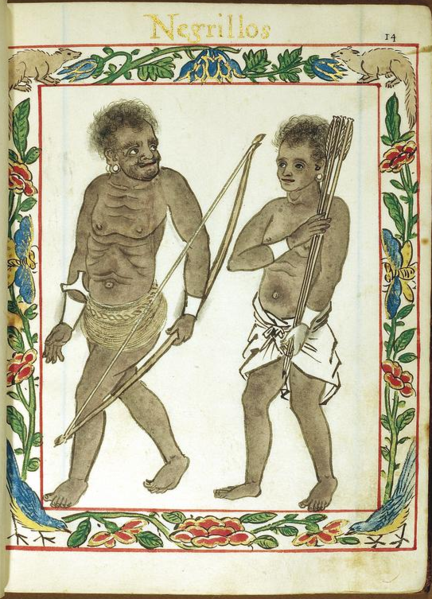 At any rate, we do know that they have bows and arrows, boats, and spears. When National Geographic tried to make contact, they left a plastic toy car, coconuts, a live pig, a doll, and aluminum cookware on the beach before getting shot at. 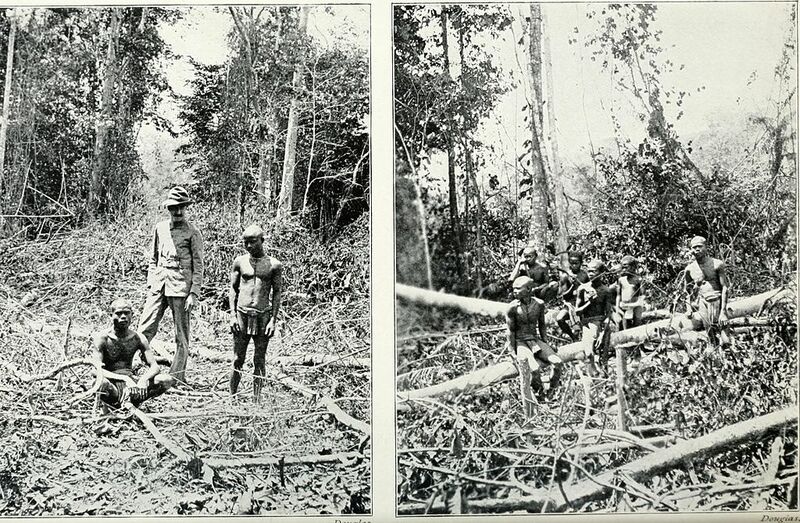 After they retreated, they observed the Sentinelese shoot and bury the pig (not eat it?) and, if the Wikipedia is accurate, shoot and bury the doll. 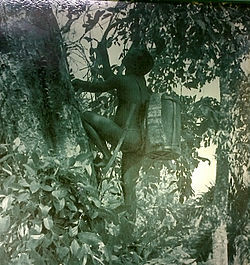 They took the coconuts and pans; no word of the car’s fate. 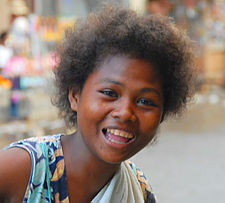 Virtually nothing is known about the Sentinelese language, though it is speculated that it is related to the Onge language of the Andaman islands. 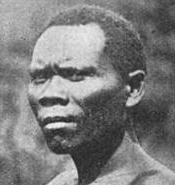 However, attempts at using the Onge as translators have failed, as the Onge themselves cannot understand a word of Sentinelese. 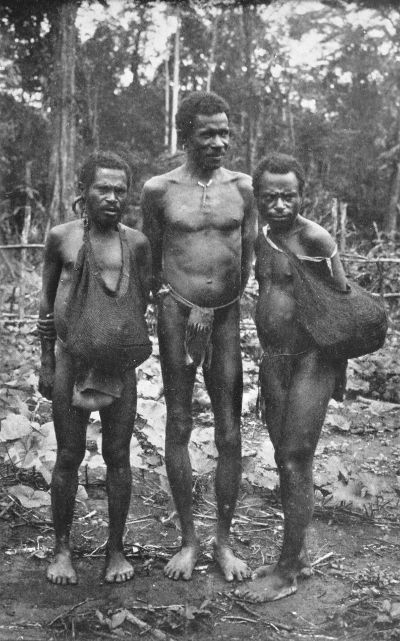 A British expedition in the 1880s that got a decent look at the island claimed that, of all the nearby groups, Sentinelese culture most closely resembled Onge culture, so it is still possible that the languages are related, albeit distantly. 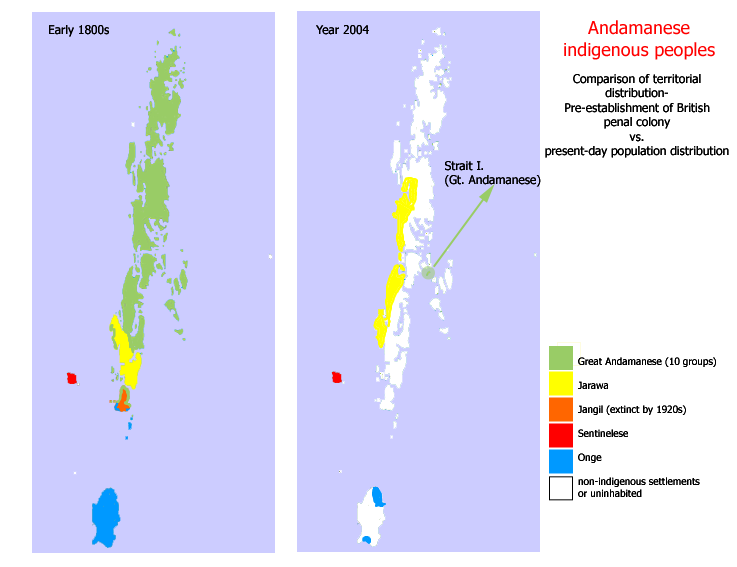 The Onge are marked in blue on the map above; today they live chiefly on Little Andaman Island in the south, but in the past they ranged further north, closer to to the Sentinelese. Contact with the outside world has reduced their population from almost 700 people (1900) to about 100. (There may well have been >700 people before 1900, that’s just the first date I have numbers for.) 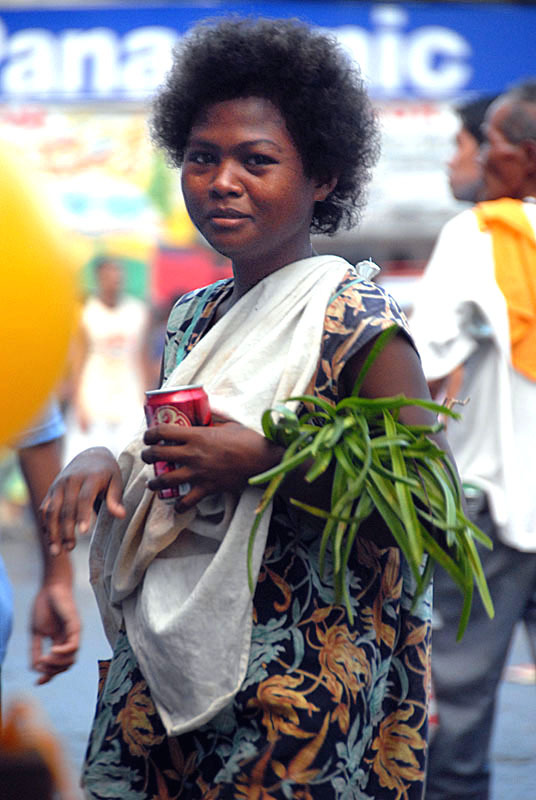 Strangely, the Onge appear to be the world’s least fertile people, with 40% of couples suffering infertility. Wikipedia estimates their Net Reproductive Rate (similar to TFR, but only looks at daughters) at 0.91, which is below replacement, however, their population appears to have held steady for the past 30 years, so perhaps the problem is working itself out. Why such infertility? The most obvious guesses (IMO) are some sort of environmental poison/effect; some sort of diseased-induced infertility, like gonorrheal scaring (please note that I have no idea if any of the Onge have ever had gonorrhea, but it is a common cause of infertility;) or a side effect of inbreeding/lack of genetic diversity following their extreme population collapse. 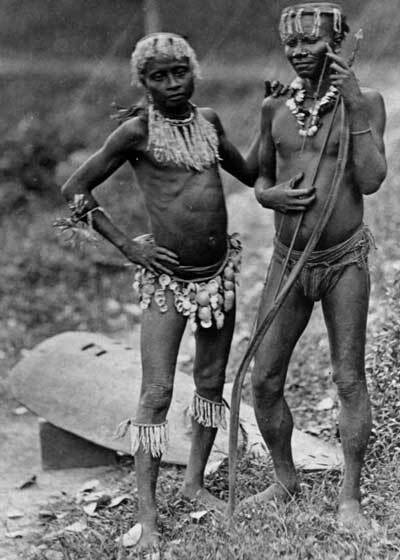 The article Malnutrition and high childhood mortality among the Onge tribe of the Andaman and Nicobar Islands suggests that the real cause of the low NRR is high childhood mortality due to malnutrition/insufficient food, probably due to loss of their traditional hunting/gathering grounds. 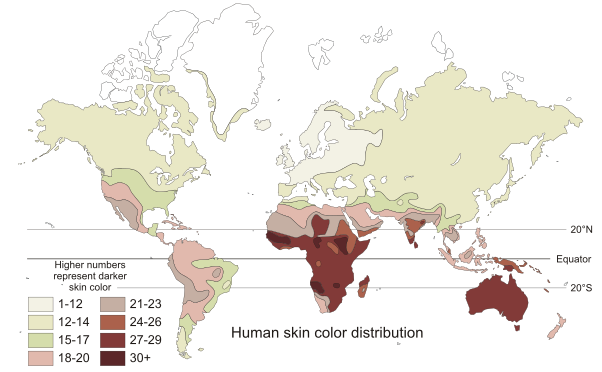 Onge Y-DNA belongs to Haplogroup D-M174, which emerged in Asia about 60,000 years ago and isn’t found outside of Asia. 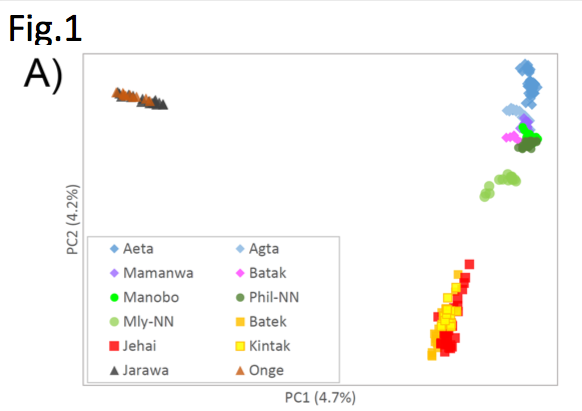 It is found today among Tibetans, the Ainu, and the Andaman Islanders, suggesting that these people are all (at least partially) descended from a common source that split off from other humans around 60,000 years ago, or just after the OoA (relatively speaking.) 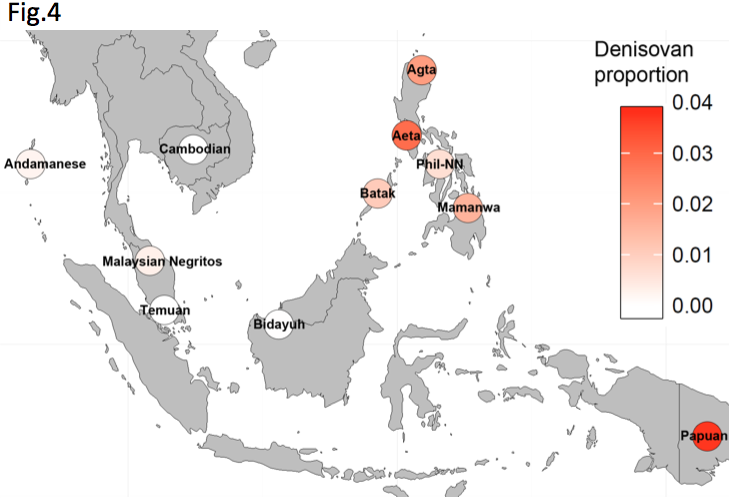 D-M174 is also found in small amounts in China and central/east Asia. 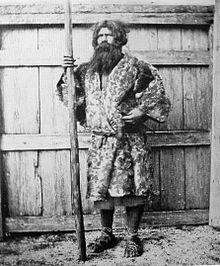 The Ainu, IIRC, also have a particular tooth shape that is commonly found in Melanesia, but not outside of it, and a small amount (about 15%, I think,) of Siberian DNA. 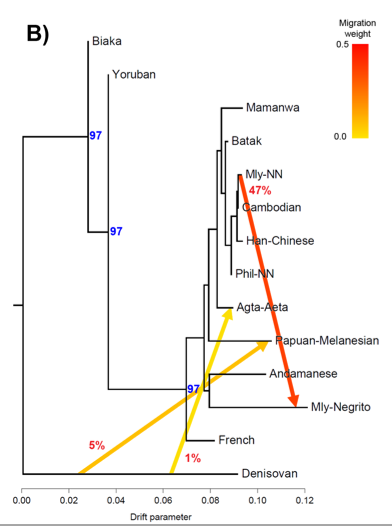 And, of course, we now have evidence of Melanesian DNA showing up in the Amazon rainforest, not to mention the curious concentration of archaic Denisovan admixture in Melanesians, despite the only Denisovan remains we’ve found so far coming from Russia. 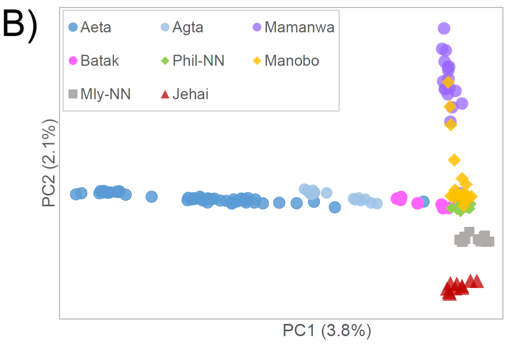 However, it appears that there is no Denisovan DNA in the Andaman Islanders, so maybe they split off before the Denisovan admixture advent. 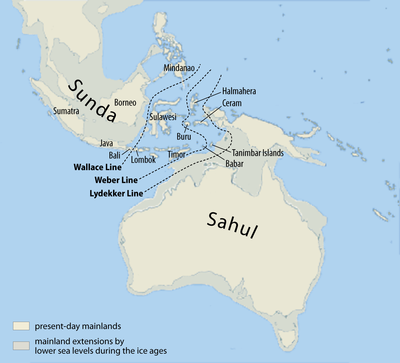 Over the ensuing millenia, later population waves, like the Polynesians and the common ancestors of east Asians like the Han and the Japanese, migrated into the area, leaving only a few isolated remnants of Haplogroup D-M174 in far-flung, difficult to reach places like the Andaman islands, the Himalayan Plateau, and the coldest parts of Japan. 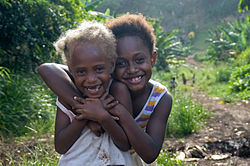 Likewise, Melanesian DNA in the New World seems to have best survived in one of its harshest, most difficult to penetrate habitats: the rain forest. This all gets back to my theory of genetic survival at the fringes, (discussed here,) which I hope to devote a full post to soon. The history of the world is the group with better tech conquering the group with worse tech, and then getting conquered in turn by a group with even better tech. The island of Taiwan illustrates this well; the most recent immigration wave happened in 1949, when the ROC lost their war with the PRC and evacuated 2 million of their people to Taiwan, a nation of 6 million at the time. Taiwan had previously (temporarily) been conquered by the Japanese, and before that, by other Chinese people, who began arriving around 1300. 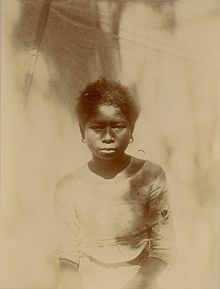 They’ve been gradually defeating/replacing the aboriginal Taiwanese, who are now a very small population, and the aboriginal Taiwanese themselves have legends about having wiped out a negrito-like people who predated their arrival, but I consider such legends only potentially true. Each group got conquered by the next group with better tech. 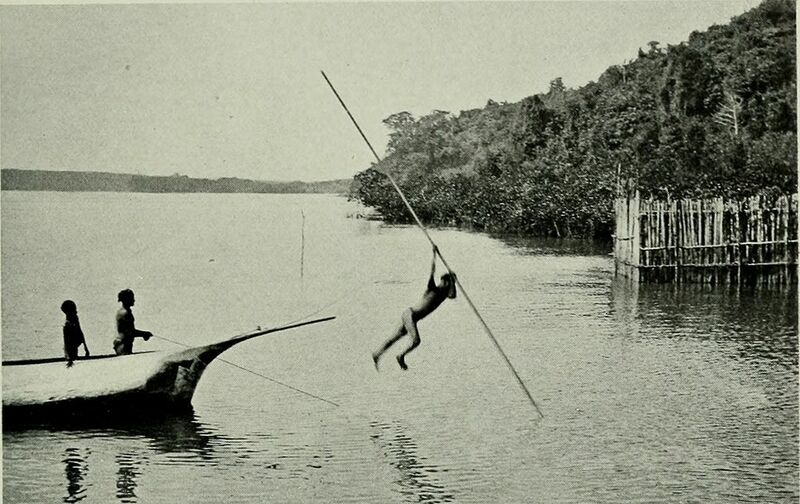 Anyway, back to the Sentinelese. The available evidence suggests that they split off from the rest of the human population ages upon ages ago, and have been effectively isolated from everyone but their immediate neighbors ever since. 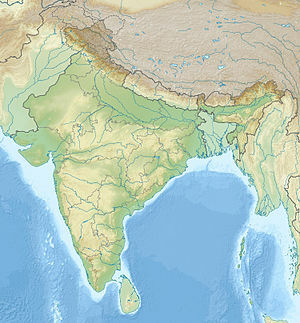 Though technically their island is considered part of India, as a practical matter, they govern themselves. They have managed to retain their independent status for so long by living on a tiny, hard-to-reach island and enforcing a strict immigration policy of killing anyone who shows up on their beach. Given that the Sentinelese would probably all die of the common cold if they ever did let foreigners onto their island, their policy is not unreasonable. You wouldn’t want to let some plague-bearing foreigner kill you with their germs, either. Unfortunately, the disease situation is unlikely to reverse itself; their population is just too small to withstand contact with the outside world. Too-long isolation in such a tiny place has cut them off from all the technological progress of the past 40,000 to 60,000 years, and their population is too small to develop much tech internally. To be fair, their strategy has worked so far. But now they’re stuck, maintaining their tiny island against the odds until someone decides to show up with guns and do some logging, fishing, or whatever they feel like, at which point there’s a good chance they’ll be wiped out. Long term, total isolation is a policy with very low survival odds. 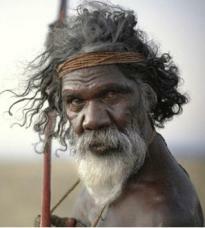 After some thought, the best option I can think of for the Sentinelese, other than continuing as they are and hoping for the best (after all, the rest of the world could destroy itself in a nuclear holocaust and leave them behind to continue doing their thing for the next 40,000 years,) is to expand their numbers and send excess people to the other Andaman Islands. Sure, most of those people would probably get colds and die, and if not the colds, alcohol’s a likely culprit, but as long as they keep exporting people, eventually some of them will survive, and create a breeding population/intermix with the other Andamanese until they have the numbers/immunity to interact with the outside world.